If you couldn’t tell, Kawasaki is on a retro new motorcycle kick. Case in point, its new W800 Café. 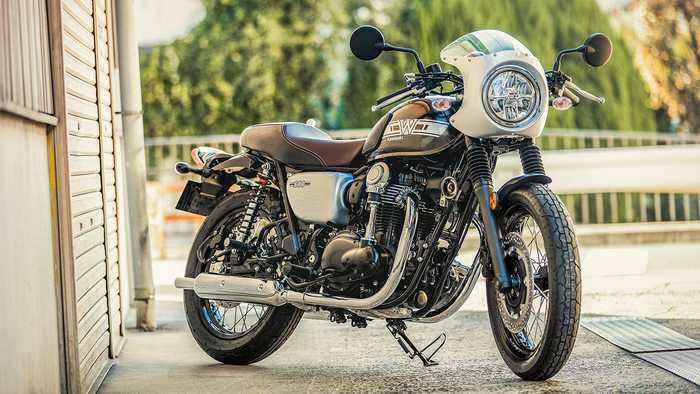 The 2019 Kawasaki W800 ($9,799) is an ode to the Green Team’s first big-displacement four-stroke streetbike, the W1. Find out more: https://www.motorcyclistonline.com/2019-kawasaki-w800-cafe-mc-commute-reviewVideo Edit: Bert BeltranPhotography: Kawasaki Motors Corp.